Then I went to Dallas and received a personal HexOhm from Pip from Suicide Bunny. I decided to give it another go…. Dimensions: 2in x 4in x 1in thick. Additional items: Magnet enclosure on door, interior power switch for battery power, potentiometer on the side, device serial number on the side. Once I got a working HexOhm in my hands, I was immediately impressed. The response time on the push button is almost immediate. I felt the device ramp up to the desired power range very quickly. Even after repeated chain vaping, the device did not get hot in my hands (it’s only on very hot days where this has happened). I didn’t have much difficulty in closing the door, even though there is a tight squeeze on the fitting. 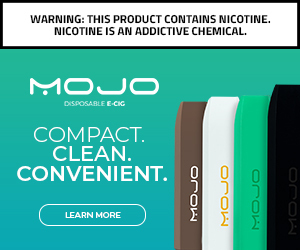 I have used several devices on this, including RDTA and RDAs, and have had no issues with connectivity. I would recommend using something with a slightly extended 510 pin just to secure the connection to the device. The device is highly customizable. There is a standard range of colors available, but the doors are limited edition based on the run you purchased. You can even sign the inside of the door with a silver sharpie marker to make this device unique to you. HexOhms are extremely fragile. If yours is working properly, I wouldn’t go tossing it around. The paint can chip easily and like in the case of my first HexOhm, the repair might be near impossible to get it back to perfect condition. Be careful carrying this with your debit card. The magnets are very strong on the door and can quickly wipe your magnetic strip on any credit/debit card. Even though I was extremely jaded with the initial experience, I quickly fell in love with my recent HexOhm. I treat this with great delicacy to prevent another massive repair issue, but I do feel safe in knowing there is a lifetime warranty on this just in case something does happen. If you can afford the price tag, I would highly recommend this! 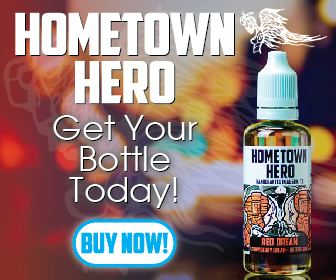 Check out Craving Vapor to purchase your own HexOhm!